Chug-a-lug? Not in Denver. 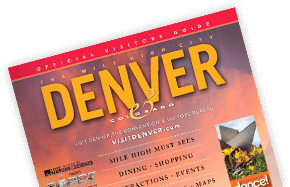 Thanks to its wide array of microbreweries, brewpubs and beer cafés, discerning beer drinkers are making pilgrimages to The Mile High City to sample the world's greatest brews. Beer is an art form in Colorado. Consider these ideas for where to taste award-winning brews, plus don't miss visiting the world's largest brewery!